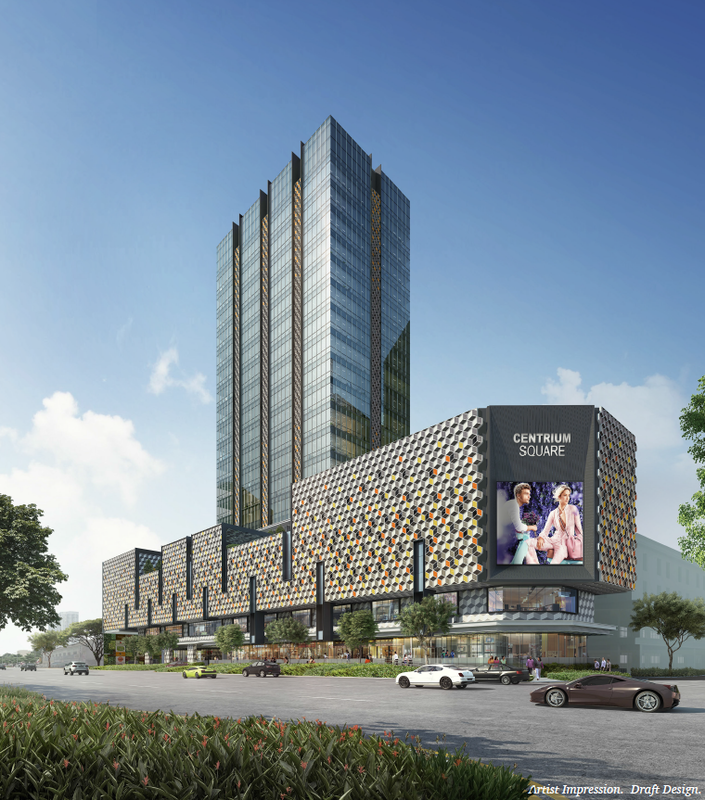 Centrium Square, former Serangoon Plaza, is a new launch freehold commercial development by Feature Development, an associate of the Tong Eng property development group. 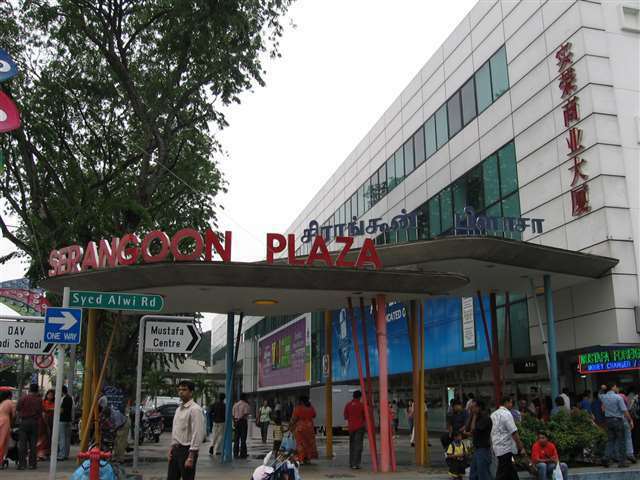 Serangoon Plaza, which houses a branch of well-known retail giant Mustafa, has been sold en bloc in November 2013. The deal is the largest collective sale of a commercial property on record. Centrium Square is poised to be developed into a 19-storey mixed-used development comprising 49 retails, 143 offices and 39 medical suites. The estimated sizes of each offices will be between 53 sqm to 94 sqm. There will also be a facilities deck on the 5th storey, bringing work, dine and lifestyle all under one roof! Located along the busy Serangoon Road and right next to Farrer Park MRT Station, generating huge volume of human traffic on both the weekdays and the weekends. The retail are expected to complement the shopping and dining experience by nearby shopping malls like City Square Mall and 24 hour Mustafa Center and further enhance the vicinity into a desirable shopping and dining destination for both the locals and foreigners. Strong demand for offices are also expected due to its prime location. Staff can easily travel to work via public transport with train stations like Farrer Park MRT Station and upcoming Jalan Besar MRT Station (Downtown Line) both within short walking distance away. For those who prefer to drive, the commercial building is also well connected by major roads and expressway. Staff do not have to travel far for lunch breaks as the surroundings offer various variety of cuisines at different price ranges. Singapore progression into a world-class medical hub for overseas medical tourists make medical suites an attractive investment for investors and medical practitioners. With well-respected doctors trained in the best centres around the world, internationally-accredited hospitals and speciality centres, medical travellers to Singapore can be assu red of quality treatment. As a multi-faceted medical hub, Singapore attracts a growing number of medical professionals and multi-national healthcare-related companies from various parts of the world to share and ex change their expertise, conduct healthcare-related research and training as well as host international conferences and events. With Singapore’s well-developed infrastructure and robust medical ecosystem, healthcare providers in Singapore are constantly strengthe ning their medical capabilitie s through professional exchanges and access to innovation in medical technology. Singapore Tourism Board (STB) works closely with private healthcare providers to expand their reach and referral networks in key target markets. STB also partners in-market intermediaries to profile Singapore as an advanced medical care destination and showcase Singapore’s clinical excellence. Singapore’s quality healthcare, as one of the best in the world, is internationally recognized. Singapore’s blood supply ranks among the safest in the world. Blood Services Group HSA (previously known as Singapore’s Centre for Transfusion) was appointed a World Health Organization (WHO) Collaborating Blood Centre for Transfusion Medicine for the Western Pacific Region in 1992. Over the last sixty years, Tong Eng Brothers and its group of companies prides itself on developing and owning distinctive real estate throughout Singapore. Over the last 50 years, the group has owned and developed more than a hundred acres of land, encompassing office, retail, landed housing and apartment projects. Centrium Square will be the most anticipated commercial launch in recent years and is expected to generate strong level of interest. Do not miss this fabulous opportunity to own a part of this exciting development! For more information on Centrium Square, simply fill up your details below and our salesperson will get in touch with you shortly!